The Kitchener-Waterloo Titans Basketball Club is pleased to announce the re-signing of Canadians SG/SF Greg Morrow and PG/SG Denzel James for the 2018-19 NBL Canada season. "It's amazing to have these two guys back as part of our core this year," said Titans Head Coach, Cavell Johnson. "Denzel has the work ethic and focus of a true pro, the mentality of a vet, and the hunger of a rookie. That character is infectious throughout the group. And I'm really looking forward to seeing the progress Greg has made over the summer. The confidence that he played with at the end of last season will be a great starting point for him this year." Greg Morrow (6'4", 210 lbs), is entering his 3rd season of pro basketball, where along with teammate, Tramar Sutherland, has been a member of the KW Titans since its inaugural season in 2016-17. Morrow, a London, Ontario native, played in all 40 regular season games in 2017-18, where he averaged 8.8 PPG on 49.1% FG shooting, 4.2 RPG, and 1.9 assists per game. "I'm excited to continue my pro career in KW, and I'm ready to get to work with my teammates," said Morrow. "Cavell is a great leader and communicator, and he understands our mindset as players. I really like how our roster is shaping up, and I'm confident we're going to make some noise this season." 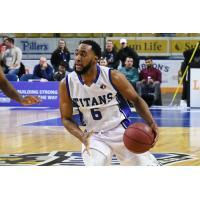 Denzel James (6'3", 200 lbs), played 31 games for the Titans during the 2017-18 season. The Edmonton, Alberta native has been training all summer as he prepares for his sophomore season as a pro. "I've been living in the gym and weight room over these past few months, working on my weaknesses and getting stronger every day," said James. "I've also been studying individual game tape of players that I admire, as I continue to build and expand my game. I have a lot of trust in Coach Cavell and believe in his vision for our team. I'm ready to do my part, and continue to bring a growth mindset and the intensity needed to push myself and my teammates to get to the next level." 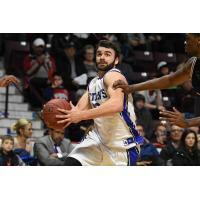 KW Titans tip off the 2018-19 NBL Canada season at the Aud on Sunday, November 18th at 2:00 PM vs the Sudbury Five. Single game tickets will be available soon. Season Tickets can be purchased at KW Tickets at 1-800-265-8977 or at the Activa Box Office at the Aud.